With the meat industry’s culture of corruption, these scandals come as no surprise to consumers. But the animals are made to pay the ultimate price. Not only are they all violently slaughtered; the vast majority also suffer their entire lives in filthy, cruel factory farms. The best way to end corruption and suffering in the meat industry is to pull your support by transitioning to a healthy and humane vegan diet. The CEO of meatpacking giant JBS S.A. has been arrested in São Paulo, Brazil, amid a corruption and bribery scandal involving nearly 2,000 politicians, including Brazil’s president, Michel Temer. JBS CEO Wesley Batista and brother Joesley, the ex-chairman of the world's biggest meat processor, were arrested on suspicion of selling JBS shares and buying up foreign currency while negotiating a plea deal. Aware that the deal would impact the value of both, the brothers exploited it to gain advantage in financial markets, according to Reuters. Indeed, JBS stock and the Brazilian real took 9.7 percent and 8.2 percent nose dives, respectively, as a result of the plea deal back in May. Combined, Wesley and Joesley Batista control a staggering 42 percent of JBS. The arrest of the Batistas comes after one of the brothers accidentally provided an incriminating tape to investigators in which he apparently discusses paying a politician for his silence with the president. President Temer is the subject of a federal probe that includes plea-bargain testimony from the Batista brothers, who allege they bribed him with at least $4.6 million, possibly dating back to before 2010. The bribes were to win lucrative government contracts, resolve massive tax disputes with the government, and obtain free loans from BNDES, the state development bank. The New York Times reports that some units of JBS have temporarily suspended cattle purchases after the Batistas’ arrest. The duration of the suspension is unclear. But this isn’t the first corruption scandal for Brazil’s meat industry. 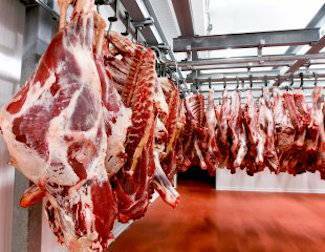 In March of this year, Brazilian police raided over a dozen meatpacking plants, including JBS S.A. Dubbed “Operation Weak Flesh,” the raid uncovered more than 40 cases of meatpackers bribing politicians and inspectors to overlook unsanitary practices, such as processing rotten meat. Police found pigs’ heads crushed and mixed into sausages, cardboard mixed with chicken meat, and chemicals injected into meat to hide the smell of rot. Federal officials also found that some companies had manipulated certificates for export, including to countries such as Spain and Italy. Accounting for a staggering 53 percent of Brazil’s total beef exports, China, Hong Kong, Egypt, and Chile imposed bans on beef imports from Brazil, contributing to plummeting industry profits. With the meat industry’s culture of corruption, these scandals come as no surprise to consumers. But the animals are made to pay the ultimate price. Not only are they all violently slaughtered; the vast majority also suffer their entire lives in filthy, cruel factory farms. The best way to end corruption and suffering in the meat industry is to pull your support by transitioning to a healthy and humane vegan diet. Click here to learn how.